Featured | Paragon Document Research, Inc.
By Sandra B. Feldman, Publications Attorney for CT Corporation. All states impose a reporting obligation on their domestic and foreign business entities. They also penalize companies that don’t comply, which is why it is so important to be familiar with this compliance requirement. Statutory business entities – which include business corporations, nonprofit corporations, limited liability companies (LLCs), limited partnerships (LPs) and limited liability partnerships (LLPs) – are generally required to file an information report with the business entity filing office of their formation state and of every foreign state in which they are qualified to do business. The purpose of the requirement is to provide the public, investors, the filing office, and other government agencies with the information necessary to locate and communicate with companies formed or doing business in the state. 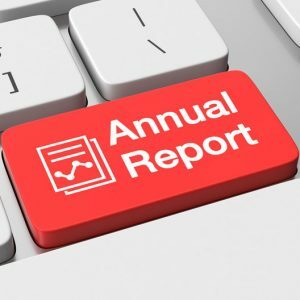 This is typically referred to as an Annual Report requirement for obvious reasons – in most cases the information has to be provided every year and the document delivered to the filing office is called an Annual Report. However, there are a few states where the filing is due biennially and a few states where the document is called something other than an “Annual Report” even when it is due annually. For example some states have called it a Statement of Information, a Periodic Report, or an Annual Registration. The information required to be set forth in an Annual Report differs from state to state. It can also differ within a state from business entity type to business entity type. Some states require Annual Reports to be filed before a fixed calendar date. Other states have a due date based on the anniversary of formation or qualification. Some states prepare forms for each company, preprinted with the most current information on file. Others provide blank forms that must be filled out. 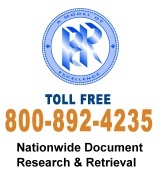 In some states the information report may be delivered to the filing office in paper form or electronically. Others will only accept reports that are filed electronically. Most states require a filing fee to accompany the report. The fee may be a flat rate or it may be variable. A variable rate may be based on a corporation’s authorized shares, the number of an LLC’s members or an LP or LLP’s partners, or some other basis. Some states charge nonprofit corporations no fee or a reduced fee. The states impose penalties on companies that fail to comply with the Annual Report requirement. If the report is not filed by the due date a late fee will be charged. Continued non-compliance can result in the delinquent company falling out of good standing. This means the state will not issue a certificate of good standing or file documents for it. Further non-compliance can result in the administrative dissolution of a domestic company and the administrative revocation of the authority to do business of a foreign company. 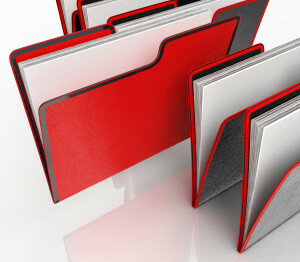 State corporation, LLC, LP and LLP laws generally require the filing of a report with the state’s filing office. In order to avoid serious penalties the individuals responsible for compliance for every company subject to this requirement should take all steps necessary to ensure that these reports are filed in a timely and complete manner. Business Annual Renewal filings can be a time-consuming nuisance, especially when you are juggling all the demands of running your business and additional duties make these challenges not only time-consuming, but time-sensitive. If you do business in more than one state or under additional Assumed Names, keeping track of the different due dates and names is a challenge, especially since many states no longer provide reminders. The timely filing of your annual renewals enables you to keep your business in good standing with the state. Annual Renewal filing can also affect many licensing obligations and financial institutional demands. Let Paragon Documents Research simplify your annual renewal responsibilities with our advanced technology tools and more than 25 years of legal experience and expertise – making sure that your entities stay in good standing. Minnesota Domestic Corporations, Domestic Nonprofits, LLCs, PLLCs, LPs, LLPs and Assumed Names have to file an Annual Renewal by December 31 of each year. 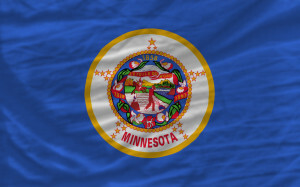 Charities are required to file an annual renewal with the Minnesota Attorney General by the 15th day of the seventh month after fiscal year end, typically July 15th.